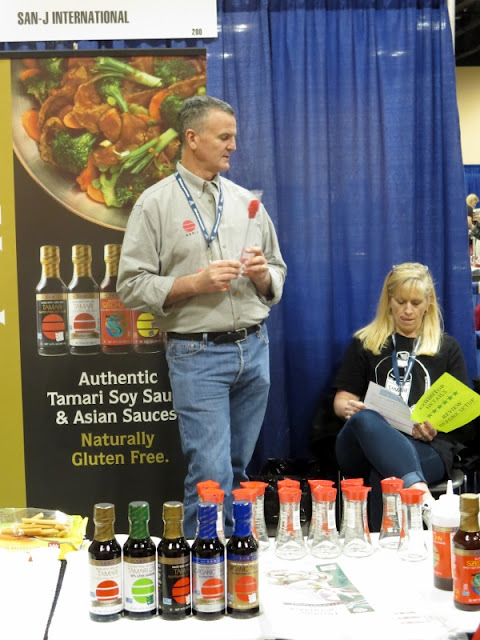 Disclaimer: I was provided admittance to the Gluten Free Allergen Friendly Expo in Schaumburg, Illinois at no cost to me to facilitate this post on The Eclectic Element and the giveaway prize was provided free of charge from several different companies. All opinions and expressions below are 100% mine and mine alone unless otherwise stated. If you read my recap of this year's Gluten Free & Allergen Friendly Expo in Schaumburg, Illinois you know there were quite a lot of companies and vendors there offering their gluten free and allergen friendly wares. 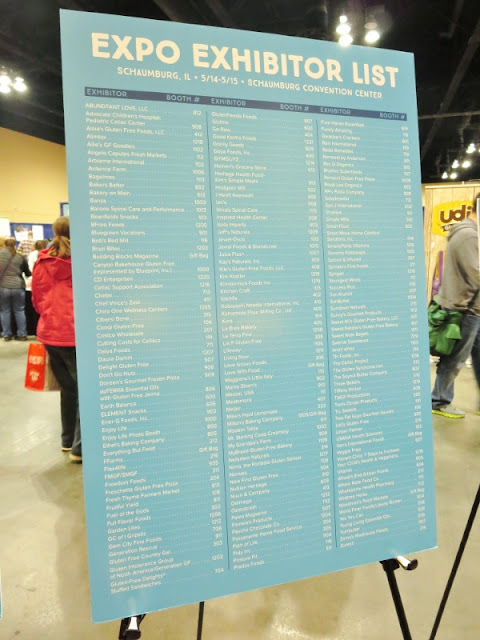 From (a LOT of) savory foods to sweet treats, healthy living magazines, essential oils, and healthier makeup and skincare options to chiropractors and therapists ready to help ease your pain or discomfort, there was quite a lot to see! Only being there for the day on Saturday I wasn't able to visit all the sponsors and vendors on the list which is always sad but I did the best I could with the time I was given! 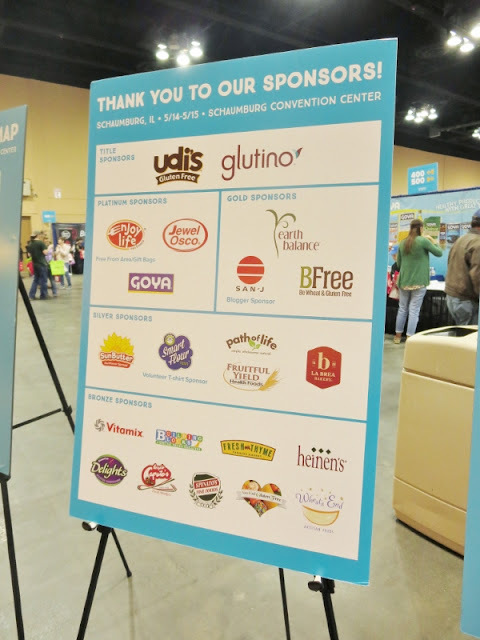 While I met quite a lot of fantastic companies, sampled some delicious gluten free and allergen friendly foods, and talked to some amazing people throughout this year's expo I have to say there were a handful of companies and or products that stood out the most to me. At this particular expo there are quite a few different sweet treats you can sample. From a multitude of cakes to many flavored cookies to muffins, cupcakes, candy and the like, it all kind of starts bleeding together after awhile of eating your way through the event. And ultimately dealing with your major sugar high. Having pointed that out, the treats that I actually remember tasting are the ones that stand out from the crowd and My Grandpa's Farm had some samples that are definitely memorable! They were sampling a gluten free carrot cake and a gluten free banana bread, both of which were beyond to-die-for, not only for the gluten free and allergen friendly factor but they were so moist and flavorful. So much so in fact it was hard believing they were gluten free! Milton's Craft Bakers was one of the first booths I stopped at and boy do they know how to treat a lady and their customers in general! They were all over any questions you may have had, products you wanted to sample, and more; they were seriously like a well oiled machine and it was fascinating to watch. Not only that but their products thoroughly impressed this gluten free blogger. They have a large line of different flavored crackers and chips, varieties of breads, and even three flavored cookie options! Did I mention the cookies were soft baked? Um, yeah. Not only were the products impressive but the staff was just as impressive with their customer service which is why Milton's made it on my top 5 list! You can tell they really love what they do and care about their customers. Ever since going gluten free I've been on the lookout for a worthwhile bagel that I could actually eat without issue but couldn't seem to find anything that I liked or was much more exciting than just meh. After years of searching ladies and gentleman, I have found what I've been looking for thanks to Canyon Bakehouse! Not only do they have a plain bagel but they also offer an everything bagel, multiple different kinds of gluten free breads (including hot dog and hamburger buns), and even some delicious brownie bites. 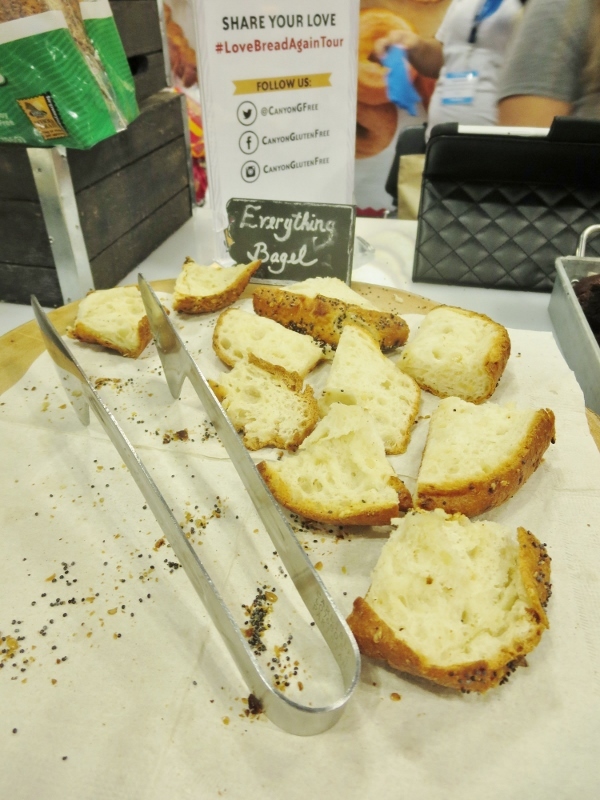 I was lucky enough to take home a package of their plain gluten free bagels. I had one for breakfast the other day with diary free cream cheese and a few slices of salami on top. It was glorious. Like I said in my previous post my family and I have been fans of San-J International for years. We're a family that loves our oriental inspired meals and knowing regular teriyaki sauce almost always comes with gluten made us very sad. Not only does San-J make different types of Tamari sauce but they have several other Asian inspired sauces inclusive of Shoyu, teriyaki, and sweet & tangy just to name a few, plus all natural instant soup and brown rice crackers. What really excites me is their line of salad dressings! I'm picky when it comes to dressings and all 3 of these look like they would be right up my taste bud's alley. This probably should not have come as a surprise to my friends and readers who know me and know how much I constantly rave over this company. 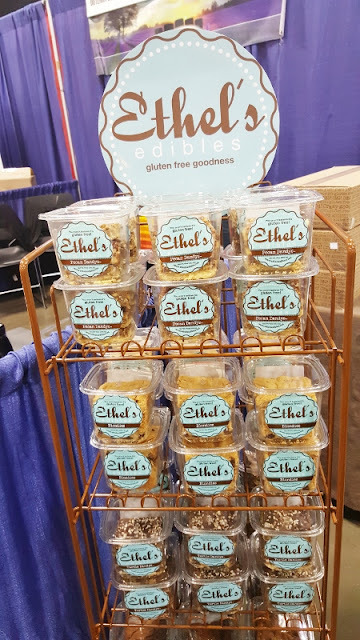 Ever since my first Gluten Free & Allergen Friendly Expo back in 2013 where I first discovered the glory that was Ethel's Edibles I've been obsessed with them and their melt-in-your-mouth gluten free treats! This year I could not contain my excitement when I heard they had returned and were offering their classic flavors, their pecan dandy, blondie, and brownie, along with a newer flavor of theirs, the turtle dandy I had yet to try which was remedied very quickly, I assure you. Granted there were many vendors and things that I enjoyed at the expo this year in the span of about six and a half hours and it really was difficult narrowing down my personal favorites but these above 5 companies are the ones that really stuck with me the most after all was said and done. 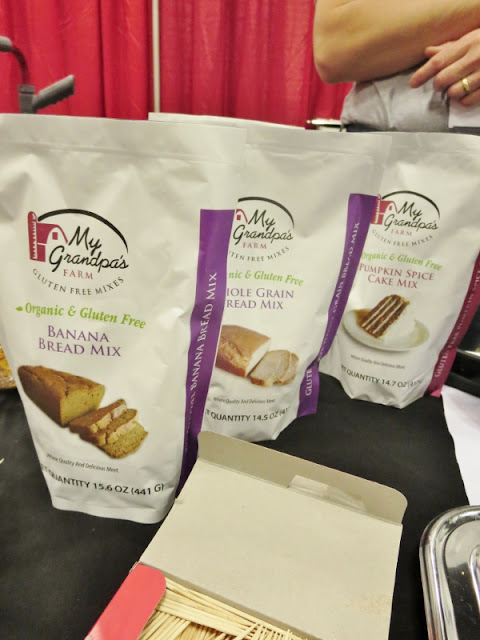 I highly suggest if given the opportunity you should learn more about these 5 companies and sample all the gluten free and allergen friendly greatness they have to offer. P.S. When taking pictures I completely forgot to include BFree's loaf of gluten free bread and tortilla shells which are currently in my freezer just waiting to be sent out! 3. Contest will run from Wednesday, June 15, 2016 through to Wednesday, June 29, 2016. UPDATE: I will be heading out on vacation with the BF starting Monday 6/27 and will be gone through Thursday 7/7. I had not anticipated this vacation when I posted this giveaway so due to me being gone over a week and the fact that I'm giving away food items, I don't want them to sit for too long. Therefore I have decided not to host a 3rd giveaway but instead host this as the last Gluten Free & Allergen Friendly Expo giveaway of the year and draw 2 winners instead of 1. 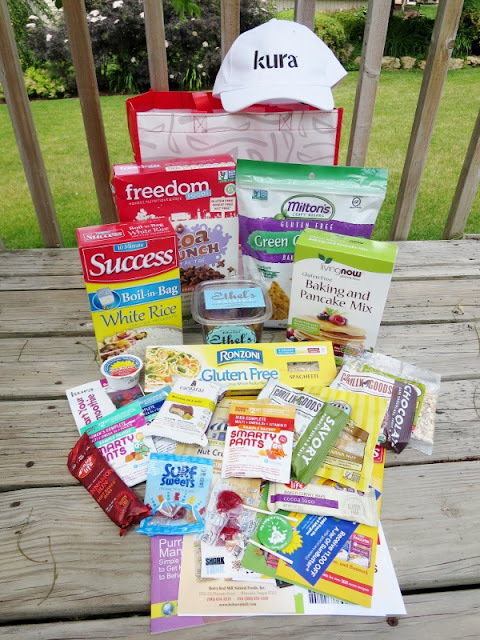 * If you have strict specific dietary restrictions (gluten free, dairy free, soy free, etc) make sure to read all labels on each product before consuming because there is a mixture of many different products in this prize package. Giveaway Disclaimer: This giveaway is open to US residents only, 18 years or older and will run from Wednesday, June 15, 2016 7:00am CST until Wednesday, June 29, 2016 11:59 pm CST. The winner will be chosen through Rafflecopter.com and be contacted within 24 hours of the drawing. You'll then have 24 hours (1 full day from when the winning confirmation email was sent) to claim your prize and send me all applicable information-If I haven't heard from you within that time frame, I will be forced to choose another winner. The Eclectic Element and all related parties are in no way liable or responsible for unfulfilled or damaged prizes. The SunButter products look tasty! I like that they are also soy free. The Organic SunButter is one I would love to try. We don't generally worry about gluten free but my sister in law does so I'm excited to try My Grandpa's Farm products. They have many that sound yummy and that will certainly take the stress out of preparing for family visits (or at least most of it). Thanks for sharing! I'd love to win so I can have some goodies for my son and myself. It gets so expensive trying new brands, and it's really a 50/50 shot if my son will eat them or not. There are so many to choose from but I really like the Gluten Free Crispy Sea Salt Non GMO Crackers from Milton's Craft Bakers. I will be going back to check all the others out too. I went to the sunbutter site and learned they have recipes. I have tried baking with sunbutter on my own before with disastrous results. I pleased to see they have recipes that I can try. EXCITED! I'd like to try Ethel's Edible Pecan Dandy's. These look like pecan pie, one of my special occasion treats! I'd love to try an assortment of their goodies. I love the ronzoni's pasta and lasagna. It makes me get a perfect meal every time! On Enjoy Life website I did learn that their products contain no artificial anything and instead contain delicious, natural ingredients like quinoa, buckwheat and honey. I would enjoy trying their Cocoa Loco Chewy Bars. I would like to try the Plentils Sea Salt Crunchy Lentil Chips also. These are some of my favorite products! Love San-J and canyon bake house! Their bread is the closest thing I've tried to a 7 grain wheat alternative. I have not seen the grandpas farms or miltons but would love to find them! I like the Turtle Dandy from Ethel's Edibles. I have always heard good things about Sunbutter. I'd love to try the no sugar added and creamy. Edith's Edible is gluten free. Freedom Foods for over 20 years has been making great-tasting, nutritious and allergen-free food. I would love to try some of the treats from Ethel's Edibles. We are trting to switch to gluten free because my husband has very sever psoriasis and my son has developed those little red bumps pn his arms that have been attributed to gluten. It is a big change though and it is great that there are so many gf treats out there to try. I'd like to try the SMUDGE COCOA SPREAD from Freedom Foods. Thanks. I'd love to try sunbutter! I learned that it is soy and tree-nut free. Would love to try the Turtle Dandys from Ethel's Edibles! I'd like to try Milton's snickerdoodle GF cookies. i would love to try ethel's edibles! coming from someone who is just adapting to a gluten free lifestyle, it's so hard to give up the yummy treats cold turkey. the pumpkin patch cupcakes look AMAZING, all of the treats would be something i would try!! Ethel's Edible Pecan Dandy's because I love Pecans and bet it tastes great. The Gluten Free & Allergen Friendly Expo must have been an interesting and informative event. My grandson has many food alleriges and I have been learning a lot about the great brands that are addressing food allergy issues! I'd like to try Milton's chips. They look delicious! I have never heard of most of these brands but they look tasty. The Milton's Craft Baker's website and the products all look really yummy and I see they are made in California which is great to hear another product made in the USA. I would love to try Ethel's Edibles they sound delicious. I would like to try SunButter's No Sugar Added peanut butter. And thank you for doing this giveaway for us who couldn't make it! I'm excited to try Ethel's Edibles since they are from Michigan. But I'm also on the lookout for a good tasting bagel. I learned that Milton's Bakery began in 1995 with the opening of Milton’s Restaurant and Delicatessen in Del Mar. 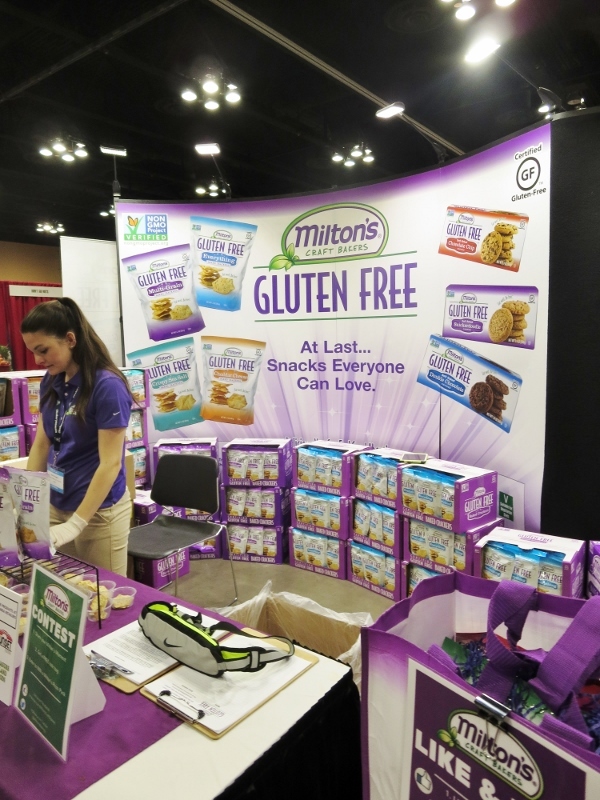 I would love to try the Gluten Free Cookies and Crackers. I would love to try the soy sauce and different asian sauces. We love trying different sauces to compliment our meals. but in particular, I've been wanting to try the Sunbutter - I love peanut butter but I follow a paleo diet and that's a no go so I've been eating almond butter. I WOULD LOVE TO TRY THE GRAHAM BERRY COOKIES FROM ETHEL'S EDIBLES. THEY LOOK SO DELICIOUS. Maple Cereal from Freedom Foods. I want to get it for my sister who loves maple! Because I have never had Ethel's Edibles I would love to try the Hummingbird. I would really like to try the Smarty Pants adult complete gummies. Probably because I just need a good, daily vitamin to take. This would taste great and be perfect! I was so grateful to go here! I really love the sunbutter. I also love the gummies because I try to eat as many vitamins each week :) thanks for EVERYTHING! I would love to try Milton's Gluten Free Cookies: Double Chocolate. I am really interested in the San J International sauces and dressings as my stepmother is gluten intolerant and I didn't know that you could make soy and Tamari sauces without wheat we are always trying to make dishes to include for her at family gatherings and have learned to make things with rice flour, oat flour and quinoa. I'd like to try the Enjoy Life Double Chocolate Chip Cookies! I'd like to try the Living Now Gluten-Free Baking and Pancake Mix. My DIL has been eating gluten-free recently. I would love to try the cheddar cheese crackers from Miltons baking! Never thought about eating gluten free but it's something recently that we talked about trying. I'd like to try the smarty pants adult gummies. I think I'd remember to take my vitamins if they were gummies. Gorilly Goods I have never heard of and it looks like they use organic and fair trade ingredients which is nice. I would like to try all of the Sunbutter products. They sound like they would be very good. Those bagels from Canyon Bakehouse look SO good! Oh and everything from Ethel's Edibles look great, it is so hard to choose. I'd love to try them all! I've always wanted to try Sunbutter! I have bought Freedom Oats before and love the product, I knew it was from Australia but I had no idea the had so many different products or that they have been in business for over 20 years. The thing I like most about the Freedom Oats is that it has dried berries in the mix. Wow this would be a nice haul for me to win! I love winning food and snack items the most because it helps with the family budget so much. All of these products are healthy too which is a big plus. Thank you so much for the chance! I'd like to try the SunButter Natural. I think it sounds interesting, and I've never had sunflower butter before. I have heard lots of great things about SunButter and would love to try it! Gluten Free Chocolate Cake from Grandpas Farms sounds so good love to make one for my son he just loves chocolate cake and has Celiacs. I would like to try the on the go Sun Butter cups. I would love to try any of the Sunbutter products! They all look so yummy! I went to the Jovial Foods site, and found a cookbook for quick breads that I need. I'd love to try Ethel's Edible Pecan Dandy's, and I learned that they are gluten-free. 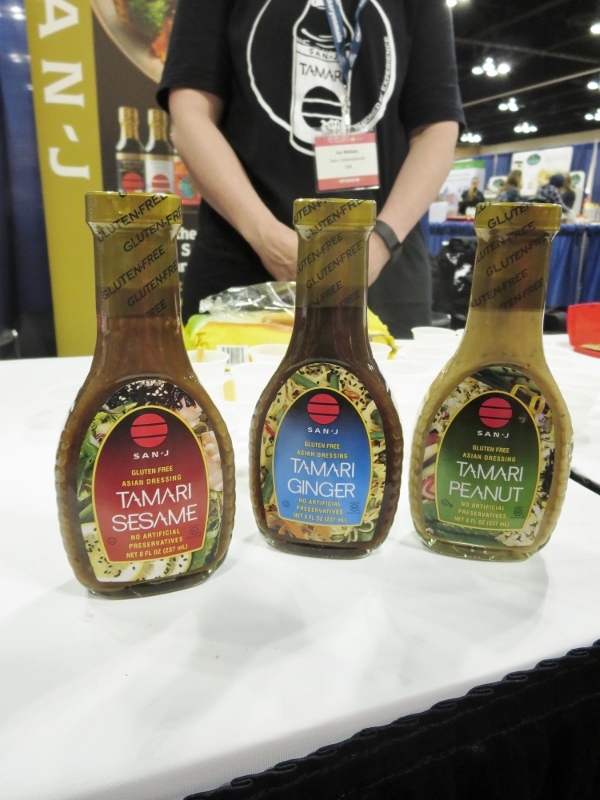 I am all about the Tamari everything these days so I know San-J; I want to try their Asian Cooking Sauce - Gluten Free, Mongolian (which I have never seen before, even at Whole Foods). I'd love to try these products. Having difficulty with ibs. Low gluten or gluten free products help. I'd love to try all the products! From Ethels Edibles, the Turtle Dandy and Hot Blondies looks so good. I love the names for all the different desserts. I would love to try all of these products, especially the Living Now Baking and Pancake Mix! I would love to start eating better! I'd love to try their Cocoa Loco Chewy Bars. Ethel's Pecan Dandies. OMG. They look delicious. I think I gained ten pounds just looking at the picture. I had never heard of Ethel's Edibles, but now I've got to find them! First of all I would try Freedom Foods "Smudge" cocoa spread because I love nutella! I would also try the Gorilly Goods cashew curry bars because I love curry! So many goodies that look so delicious. I would really love to try the Ethel's Edibles. That Facebook photo simply will not work on Snapchat. The sun butter sounds good. I would like to try the Success Jasmine rice. It sounds like it tastes good. Oh I visited BFree and would love to try their Multiseed Bagel! Oh those look so good! enjoy life is gluten free. There are no artificial anything. They carry a variety of products and chocolate chips for baking to. I would like to try Ethel's Edibles' Hummingbird Muffins. Look like hey would be great with a cup of coffee. us.bfreefoods.com I learned that its gluten FREE!!! Great I would love to try anything with this brand. i really want to try the Cocoa Loco Chewy Bars they look really good. I've been noticing the Smarty Pants vitamins in stores recently. Now that I've checked out their info I definitely want to try them. I think the whole family would benefit. 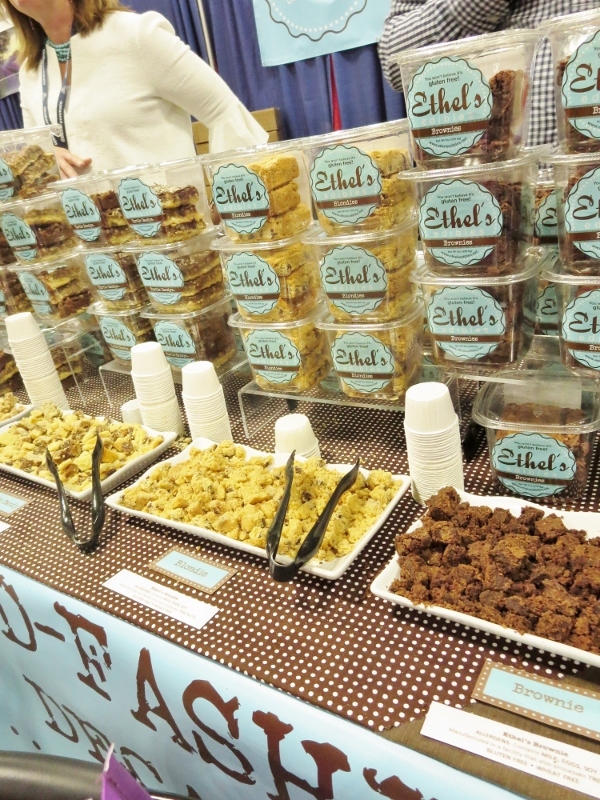 I'd like to try the Blondies from Ethel's Edibles. 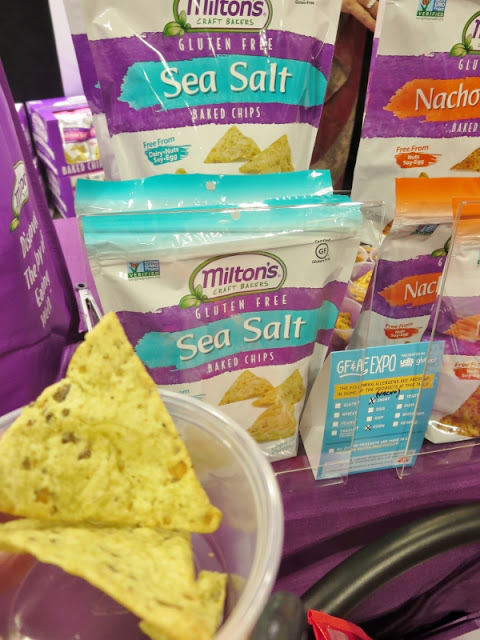 I would most like to try the Milton's Craft Bakers Sea Salt Chips. I would like to try the Banana Bread Mix. I would love to try the Edna's Edibles! They look absolutely yummy! Thanks so much for the opportunity to win such awesome prizes. i learned mitons craft bakers has Multi-Grain Garlic Bread. It sounds so good! i love garlic! I am dying to try SunButter! It would be great for my mom, who can't have peanut butter. I learned that my local Whole Foods carries several of the Enjoy life varieties. I love that they are allergy friendly. I also like that they have to-go packs perfect for my daughters lunch box. I learned that they have expos for GF people like me! There are many products I have yet to try. 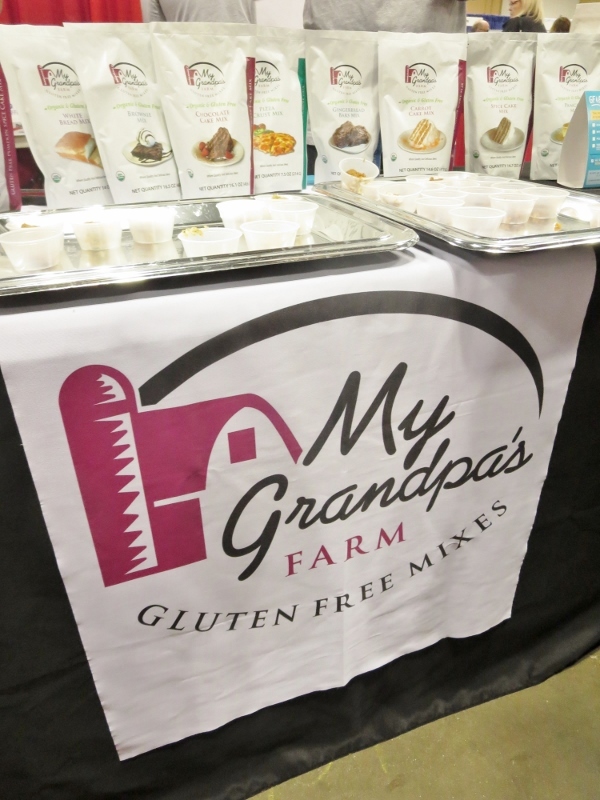 I have never heard of My Grandpa's Farm and there stuff sounds yummy! The Ethel's Edibles Turtle Dandy bars look delicious. Such a great selection at that site! I have seen Ethel's Edibles before but haven't tried them...the brownies look so good! I learned that they were mentioned in Fortune Magazine last year! I would love to try the organic glutten free chocolate cake mix from My Grandpa's Farm. I would love to try My Grandpa's Farm banana bread mix it looks heavenly! I would love to try the Pecan Dandy!This is a product from Ethel's Edibles. (Toasted pecans, honeyed caramel and shortbread crust combine in this treat so good, it just might be habit-forming.) I do think that they could be habit forming! I want to try Gluten Free Crispy Sea Salt Non GMO Crackers from Milton's Craft Bakers :) Loooove trying new gluten free items! I would choose the Milton Craft Bakers. I would like to try the Roasted Garlic & Herb Multi-Grain Gourmet Crackers. I am a fan of garlic-herb. I would love to try the Jukebox Jumble cookies from Ethel's Edibles. Ethel's Edibles have products I would love to try. There are so many, though, that look delicious! I learned that Gorilly Goods can be found in many stores in Wisconsin, Minnesota, Michigan, Iowa, Illinois and in select stores scattered throughout the country. Come to Arizona! I like the choices SunButter had to offer. Would love to try all of them! I would like to try My Grandpa Farm Mixes. There are only three products pictured on their website compare to the picture that you took at the event. I would like to try the Brownie, Choclate cake and the Pumpkin spice mix.